Boston is the largest city and capital in the state of Massachusetts. This city is one of the oldest in the USA, and was the location for many key events in American history including the Boston Massacre, the Siege of Boston, the Battle of Bunker Hill, and the Boston Tea Party. 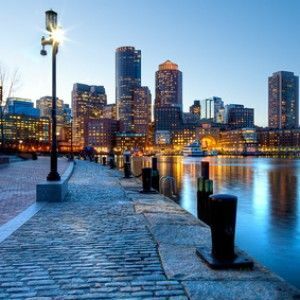 TALK students who are looking to visit Boston will experience the fascinating culture, history and community spirit that this great city has to offer. This city offers students of TALK English Schools the perfect opportunity to better and enrich themselves with everything that makes Boston what it is today. Here are the Boston travel city facts when looking to study and visit Boston Massachusetts. 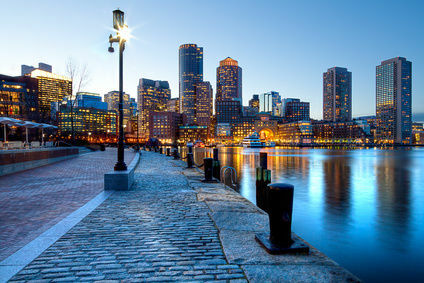 Boston is home to over 636,000 people and is the 21st largest city in the USA. This city is a part of the Greater Boston metropolitan area which has a population of 4.5 million people. Boston holds a city area which covers 89sq miles with a density of 12,900 people per square mile. The time zone in Boston is EST (UTC-5) throughout the year with summer EDT (UTC-4). The city was incorporated in 1832 and is now a thriving international metropolis. The emergency number in Boston is 911. This is the same throughout the USA. The Boston community uses American English as their primary language. Boston uses US dollars as their money currency. Each $1=100 cents. The US dollar is one of the world’s major currencies and is the same throughout the states of the USA. Boston banks are open from 09.00am to 17.00pm Monday-Friday. Some banks are open Saturday for half the day. ATM’s throughout the city are accessible for 24 hours. Retail stores are open between 09.00am to 21.00pm. Some stores are open up to 7 days a week. Boston features both small shops and large shopping centers and outlet malls giving you plenty of shopping options.